The modern kitchen represents far more than just a room in which to prepare food; today, it is an area in which to socialise, dine, entertain, and more. Ensuring you have the perfect kitchen for your needs, therefore, is essential. With AC Installations, finding a kitchen fitter in Sevenoaks to help transform your home into the property of your dreams is simple. At AC Installations, we know how important it is to ensure that your home is precisely how you want it to be. In fact, the enjoyment you get from your property plays a huge impact on your overall happiness. That’s why, when you choose to work alongside us in fitting a new kitchen, you can rest assured the final product with meet – or even exceed – your expectations. 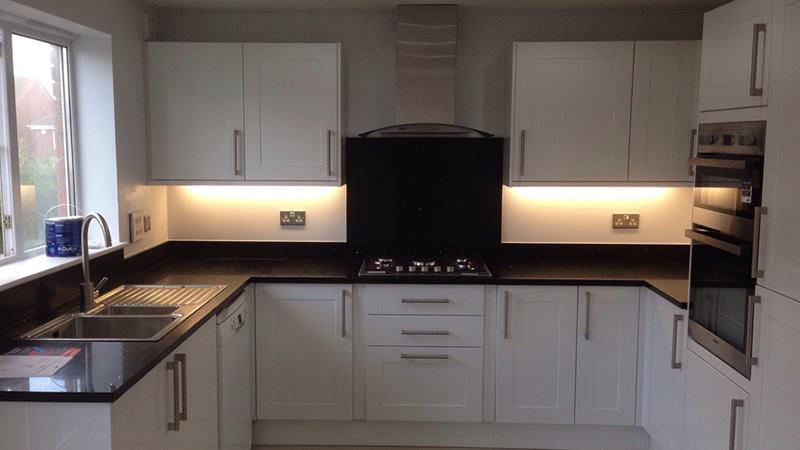 We’ve worked hard to establish a reputation as being the best kitchen fitter in Sevenoaks. Regardless of the size of your home, the scope of the project, or the budget you have available, we’ll consult with you every step of the way to ensure that the kitchen being installed satisfies the brief completely. What’s more, we always aim to quote a cost that is fair and competitive, so you can be confident that we will always put your needs first. For a kitchen fitter in Sevenoaks that provides a friendly, prompt, affordable service, look no further than AC Installations. Simply contact us today on 07718 622940, and we’ll be delighted to discuss the project in complete detail. We’ll even be able to help you source the very best materials, with our two decades’ experience of working with leading manufacturers ensuring we know how to secure the best deal.